Santa Clara University, located in the heart of Silicon Valley in California, is proud to offer on-campus housing, dining, and meeting space for your next conference or event. We welcome youth and adult programs to experience our beautiful Santa Clara campus. We strive to provide a comprehensive event solution encompassing a wide variety of on-campus accommodations. 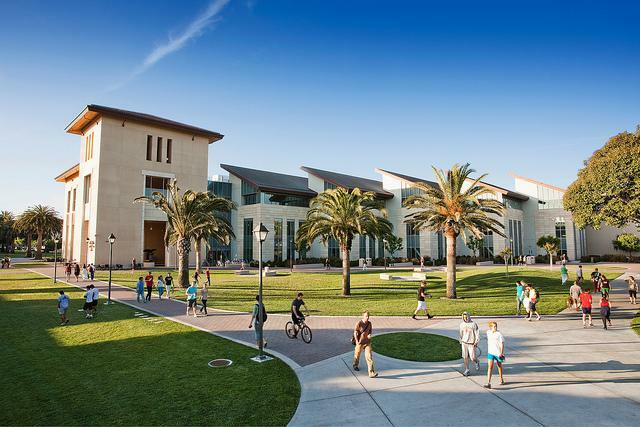 Santa Clara University is adjacent to CalTrain, conveniently located close to all Bay Area attractions. Santa Clara facilities and services are available mid-June through late August. Requests from sponsoring University departments and non-profit organizations are always welcome at our campus. View our videos below to see what sets the Santa Clara University event space apart from other Silicon Valley venues. Santa Clara University offers residential facilities available mid-June through August. Our meeting facilities and all catering options are available year-round. All meeting rooms on our Santa Clara campus offer internet connectivity and WiFi free of charge. Our Silicon Valley location offers on-campus catering and cafeteria-style dining; off campus caterers are not permitted. Parlor A	 Formal conference room located in Benson Memorial Center. Seats up to 16. Parlors BC	 Adjoining parlors can be used together or separately. The Parlors are great for presentations and meetings at the Benson Memorial Center. California Mission Room	 Built-in audio/visual, including 3 projection screens. Accommodates 300 attendees with theater-style seating or 250 in banquet set-up. Located in the Benson Memorial Center. Williman Room	 The Williman Room is a multi-purpose room centrally located in the Benson Memorial Center. Williman is commonly used for banquets, presentations, seminars, and contains built-in audio. Adjoining patio holds 200 for receptions. Conference Room 21	 Multipurpose room located in Benson Memorial Center; can be utilized as classroom or conference room. Sobrato Commons BC	 Sobrato Commons available in two separate rooms (40) or as one large multipurpose space. Sobrato Classroom 19	 Classroom holds up to 40. Casa Italiana Seminar Room 3	 Seminar Room holds up to 32. Casa Italiana Classroom 7	 Classroom holds up to 40 guests and contains built-in audio. Graham Classroom 163	 Graham Classroom 163 holds up to 40 guests and contains built-in audio. Graham Classroom 164	 Graham Classroom 164 holds up to 40 guests and contain built-in audio. Graham Commons 156 AB	 Graham Commons available together or as separate rooms. At Bon Appétit, we blend a tradition of fine service with creative planning and consistent event execution to bring satisfaction every time. We specialize in made-from-scratch menus featuring regional and seasonal ingredients and artisan-produced products. Adobe Lodge: As the only remaining Adobe brick building from the original Santa Clara Mission establishment, the Adobe Lodge offers a unique place to visit and dine, serving a variety of lunch options, including salads, soups, a grill menu, and daily specials. Guests can choose to eat on the patio or in the dining room of the Lodge. Santa Clara’s main dining room located in Benson Memorial Center. Breakfast, lunch and dinner are served cafeteria-style to offer a similar collegiate dining experience enjoyed by students. Reserved exclusively for camps, conferences and university personnel, this venue creates a comfortable and safe environment for guests. Located adjacent to Marketplace, the Bronco provides additional seating for 100 guests. Features an inviting combination of booth seating and small stand-alone tables, all surrounded by pieces celebrating Santa Clara school spirit. Campus’ premier outdoor venue for catered events, six sections of lawn offer up to 48,000 square feet of space for all event types- tented receptions, themed buffets to name a few. Catered lunches are popular on this centrally located 22,000 square foot lawn. Both the Saint Ignatius of Loyola fountain and ample shade from trees lining the border, the lawn provides a serene backdrop for guests.